A massive wave threatens to engulf three fishing boats, its foam crown extending like claws, menacing the rowers below. It’s an epic scene of human struggle and natural terror that dwarfs the sacred Mount Fuji just behind it. This is “The Great Wave off Kanagawa,” a woodblock print by the Japanese artist Katsushika Hokusai and one of the world’s most iconic pieces of Asian art. If this climactic moment seems ubiquitous — think T-shirts, coffee mugs, laptop decals — that’s because it was designed to be. Investigators are mystified by the crash, which claimed 104 lives. I was mystified by her decision. Most Americans are totally mystified by the English game of cricket. Doctors were mystified by her high fever and headaches. A hurricane menaced the east coast yesterday. Drunk drivers are a menace to everyone. The escaped prisoners are considered a menace to society. We watched the rowers on the river. The new skyscraper will dwarf all those near it. This year’s budget dwarfs all previous ones. His daily routine is absolutely sacred to him. Leather is very much in fashion this season, as is the ubiquitous denim. The film ends with a climactic battle scene. Finally, the climactic moment came. 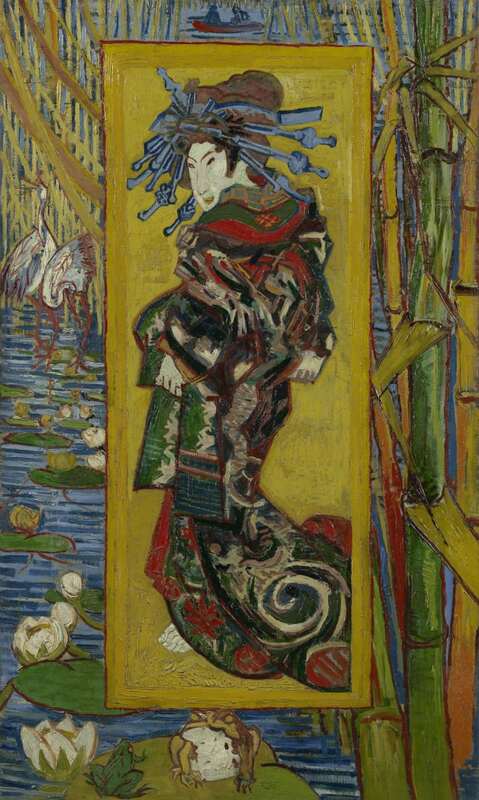 The artwork is considered a fine, if somewhat hackneyed, example of “ukiyo-e,” a genre of mass-produced Japanese woodblock prints that displayed everything from theater announcements to the most salacious of erotica. Ukiyo-e prints were cheap to produce and widely distributed in Edo (today’s Tokyo) between the 17th and 19th centuries. 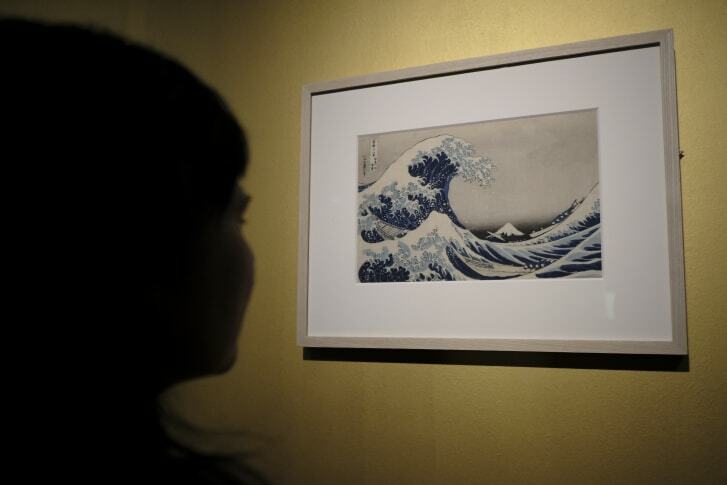 As many as 5,000 impressions were made from the original woodblocks for “The Great Wave.” Back then, the prints were sold for the price of a bowl of noodles. The plot of the film is just a hackneyed boy-meets-girl scenario. By the time “The Great Wave” made its debut, in around 1830, Japan was flirting with the idea of ending more than 200 years of isolationism. 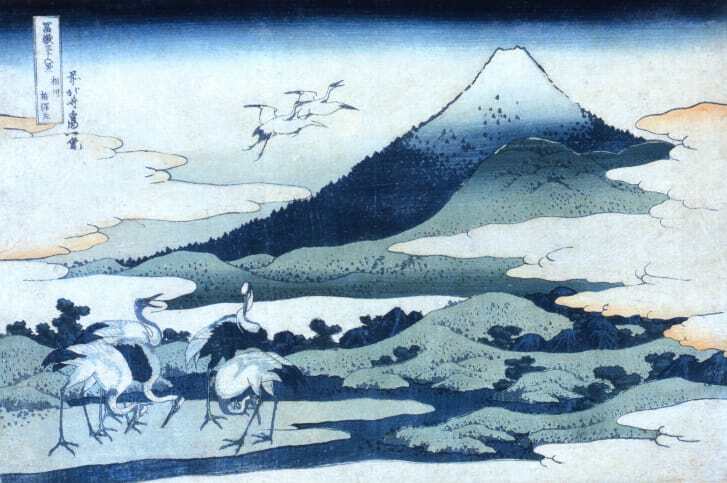 The story of growing foreign influence is evident in Hokusai’s masterpiece — the rich shade of blue used in the prints was imported from Europe. Prussian blue, as it’s commonly known, was a synthetic color created in the 18th century and prized for its depth and durability. That Hokusai employed the hue as the principal actor in his oceanic drama suggests that he was depicting Japan on the cusp of change. As much as the wave portends instability and danger, it also suggests possibility and adventure. Hokusai spent most of his life in the riverside district of Sumida, Tokyo, where he adopted at least 30 pseudonyms and, perhaps, just as many different styles. “The Great Wave” was the first in his series “Thirty-six Views of Mount Fuji,” a virtuosic study of Japan’s highest and most revered mountain. They’ve been flirting with the idea of selling up. At one time he flirted with the idea of running for president, but nothing came of it. He was really cute, so I flirted with him. They were flirting with each other at the party. Christina was flirting with just about every man in the room. Her lack of interest in the job was becoming increasingly evident. It is evident that there will be some job losses. Her love for him was evident in all that she did. It quickly became evident that someone had broken in. Twain’s interest in Adam is evident in all his work. All our toys are tested for durability. Finding a durable solution will not be easy. Two methods can be employed. Sophisticated statistical analysis was employed to obtain these results. In the Caribbean waters there are fish of every hue. Iraq’s principal export is oil. He was principal dancer at the Dance Theatre of Harlem. That was my principal reason for moving. an actor on the cusp of becoming a star. an artist on the cusp between Victorianism and modernism. It was a deeply superstitious country, where earthquakes were commonly believed to portend the end of dynasties. This policy would lead to greater instability in the region. The instability of the euro continues. Teenagers often go through periods of emotional instability. He decided to adopt a more radical approach to the problem. When questioned, he adopted a very aggressive attitude. Famous mainly for his wonderful voice, Cole Porter was also a virtuoso on the piano. Nelson Mandela is revered for his brave fight against apartheid. Most Americans have little reverence for their political leaders. Foreign observers declared the elections fair. Many political observers believe that the election is already decided. She was not enamoured of Paris. Not everyone is enamored of steak. The past two years have seen the proliferation of TV channels. The proliferation of cell phones has changed how we communicate. He had a childish fascination for battles and revolutions. Science has always fascinated me. Anything to do with planes and flying fascinates him. The children were fascinated by the story. Her fascination with modern art began when she saw the Picasso show. 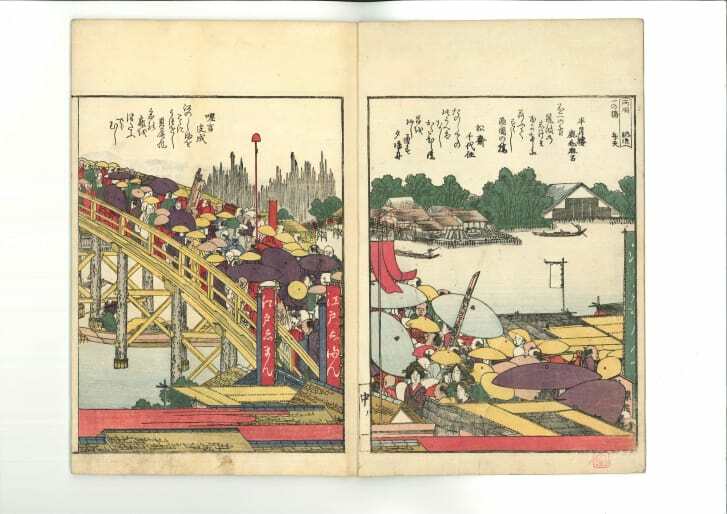 Yet, the woodblock prints weren’t considered art in Japanese society during the Edo period, according to Yukiko Takahashi, the sixth-generation owner of the Takahashi Kobo publishing house. At Takahashi’s workshop, craftsman Noriyasu Soda works on a replica of Hokusai’s “Great Wave.” He first dampens the “washi” paper, before applying paint and a small amount of rice glue to the woodblock to ensure that the colors stick. Each side of any given block represents a different color that will be layered into the ukiyo-e. This piece alone requires a black outline, various blues for the water, and shades of yellow and pink for the sky. At some point I decided she was no longer my friend. It’s easy to take your parents for granted. Losing my job taught me never to take anything for granted. I shouted at my boss because I’m sick of being taken for granted. I took it for granted that I would find the perfect job. I need to work on my pronunciation if I’m to pass the exam. If you worked on it, you could have a really good singing voice. He’ll have to work on getting fit before the game. His dancing technique is good, but he needs to work on his stamina. Don’t worry about that, I’m working on it. Rain dampened the tent, but it dried in the sun. If you dampen laundry, it’s much easier to iron it. Rain had dampened the tent so we left it to dry in the afternoon sun. Sara applied her lipstick carefully. The paint should be applied thinly and evenly. Apply the cream liberally to exposed areas every three hours and after swimming. The process is painstaking and demands utmost precision. Takahashi says it takes about a decade to become a true ukiyo-e “shokunin,” or master craftsman, and that there are only 25 left in Tokyo today. It took months of painstaking research to write the book. He was described by his colleagues as a painstaking journalist. We attach the utmost importance to public safety. All equipment should be handled with the utmost care. He kicks the ball with precision and accuracy. Great precision is required to align the mirrors accurately.